SleuthSayers: Who Was That Masked Writer? In 1968 or 1969 Paul McCartney said a wistful and startling thing in an interview. He said the Beatles had discussed the idea of going out on the road as a bar-band named Randy and the Rockets. They would wear hokey capes and masks à la Count Five, he said, so no one would recognize them, and they would just have a rave-up, like in the old days. When the interviewer suggested they would be recognized by their voices, Paul seemed at first startled … and then a bit appalled. In The Grapes of Wrath John Steinbeck ended a famous soliloquy with the conclusion “we can’t start over.” This may be true, but that has not stopped some writers from trying. Writing as someone else, that is, under a pseudonym, has always enjoyed a subversive and at times roguish popularity among writers. Over the years there have been many motivations for hiding one’s name -- Mary Ann Evans, author of Silas Marner, for example, wrote under the pseudonym of George Eliot because she believed that to be taken seriously in the mid-1800s an author really ought to be male. Thankfully, we are well past such “necessities,” but, for a host of reasons, authors still, at times, give in to a temptation to write as someone else. Mysteries, which are all about secrets, have always been a particularly fertile ground for cultivating new identities. Ellery Queen, a pseudonym on his (or their) own, also wrote pseudonymously as Barnaby Ross. Earl Stanley Gardner wrote the Perry Mason mysteries under his own name, but wrote his D.A. Doug Selby mysteries under the name of A.A. Fair. Ruth Rendell writes not only as herself, but also as Barbara Vine. The reasons these writers,and many others, decided to write as someone else are varied, but among particularly popular novelists, such as those who have staked out claims to the top spots on The New York Times list, there is a particularly tantalizing temptation to coin a new name. They want to prove John Steinbeck wrong. Robert Galbraith has written a highly entertaining book... Even better, he has introduced an appealing protagonist in Strike, who's sure to be the star of many sequels to come.... its narrative moves forward with propulsive suspense. More important, Strike and his . . . assistant, Robin (playing Nora to his Nick, Salander to his Blomkvist), have become a team - a team whose further adventures the reader cannot help eagerly awaiting. There was also a shared theme in the reviews of the book -- it seemed too good, too polished, for a first time work. The reviewers began to wonder, and to speculate. In any event, buoyed by similarly favorable reviews The Cuckoo’s Calling was doing passably well for a first novel, selling 8,500 copies within a few weeks of publication and garnering two inquiries concerning possible film adaptations. It was then that the wife of a lawyer in the London law firm that had done legal work for the book, revealed on Twitter, contrary to the terms of a secrecy agreement, that the author was none other than J. K. Rowlings. Rowlings has now admitted authorship, settled with the law firm, which has committed to making a large donation to the same soldiers’ charity that is also receiving the royalties from the book. I was yearning to go back to the beginning of a writing career in this new genre, to work without hype or expectation and to receive totally unvarnished feedback. It was a fantastic experience and I only wish it could have gone on a little longer. I [also] wanted to take my writing persona as far away as possible from me, so a male pseudonym seemed a good idea. I am proud to say, though, that when I “unmasked” myself to my editor David Shelley who had read and enjoyed The Cuckoo’s Calling without realizing I wrote it, one of the first things he said was “I never would have thought a woman wrote that.” Apparently I had successfully channeled my inner bloke! George Eliot could not have said or done it better! 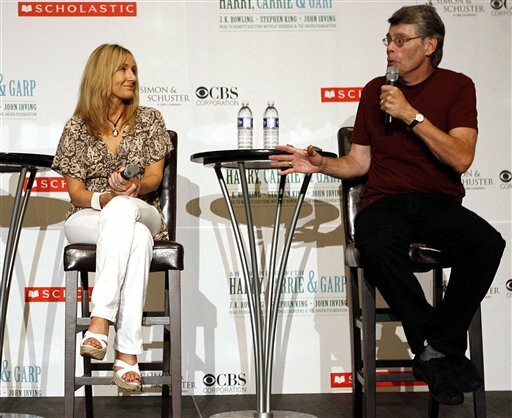 J. K. Rowling was not the first best selling author to succumb to the temptation to begin again. 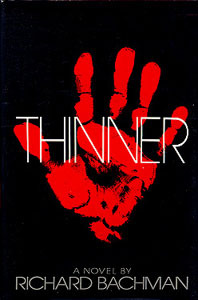 Stephen King attempted the same feat in the 1980s when, writing as Richard Bachman, he published five novels before being outed in 1985 just about the time that the fifth Bachman book, Thinner, was beginning to do well in the bookstores. Stephen King reportedly had several reasons for inventing Bachman. First, King is remarkably prolific and his publisher, early on, feared that publishing at the rate King wrote -- more than a book a year -- would flood the market. So a pseudonym created a new outlet. You try to make sense of your life. Everybody tries to do that, I think, and part of making sense of things is trying to find reasons . . . or constants . . . things that don’t fluctuate. Eveyone does it, but perhaps people who have extraordinarily lucky or unlucky lives do it a little more. . . . Part of you wants to think that you must have been one hardworking S.O.B. or a real prince or maybe even one of the Sainted Multitude if you end up riding high in a world where people are starving, shooting each other, burning out, bumming out, getting loaded, getting ‘Luded. But there’s another part that suggests it’s all a lottery, a real-life game-show not much different from “Wheel of Fortune” or “The New Price is Right” . . . . It is for some reason depressing to think it was all -- or even mostly -- an accident. So maybe you try to find out if you could do it again. Or in my case, if Bachman could do it again. King’s experiment was also cut short. The next Bachman book was to be Misery, and, in King’s words, “I think that one might have taken 'Dicky' onto the best-seller list.” Rowling’s experiment was cut way short, even though her next Cormoran Striker mystery will still be published under Galbraith’s name in 2014. It is interesting to compare Galbraith and Bachman with, respectively, Rowlings and King. Galbraith's mystery is much grittier than any of the Harry Potter books. The Cuckoo's Calling is prone toward the use of idle profanity, darkly modern themes and urban settings. And Bachman is also darker than King. Bachman’s The Long Walk is sort of like The Hunger Games but without the love story -- just children dying in a televised contest. And Rage, centering on a young gunman taking over a school room, has been withdrawn from the market out of concern as to what it might prompt or might already have prompted. But while the pseudonym authors differ markedly from their creators, behind the curtain, nonetheless similar narrative voices are discernible. Before being outed by a meticulous book store clerk who found an obscure reference to King in one of the Bachman copyright documents, there was rampant speculation that Bachman was King premised on the similarities of sentence structure, word usage, and plots. And today, 30 years after King’s Bachman experiment, apparently computerized digital comparisons between the Harry Potter books and The Cuckoo’s Calling were on the verge of outing Rowling when that tweet from the lawyer’s wife pulled the rug out from under her. Galbraith will continue to write mystery novels, but as a known pseudonym of Rowlings. 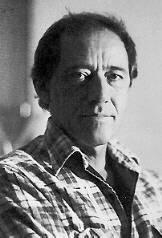 Bachman, according to King, died of cancer of the pseudonym in 1985, although some “posthumous” Bachman works have been published since then. In the end, what can we say of these experiments? Do they ultimately prove that hard work wins out or do they validate the lightning strike of luck? Both The Cuckoo’s Calling and the Bachman novel The Long Walk were rejected by publishers that would have jumped at the works if armed with a little foreknowledge. The Cuckoo’s Calling isn’t the only Cuckoo title on The Post’s list this week. 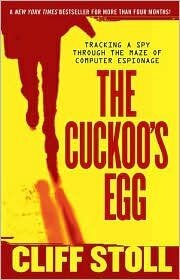 Cliff Stoll’s nonfiction story, The Cuckoo’s Egg: Tracking a Spy through the Maze of Computer Espionage is No. 4 on the nonfiction paperback list. Why would a book from 1989 pop up now? Are NSA employees buying copies in bulk? Are Rowling fans confused about her pseudonym? Or is it just wizardry? That lightning may have struck Cliff Stoll. Assuming, of course, that he is Cliff Stoll. Very well done, Dale. It is Dale, isn't it? Not J.K. Rowling? I'm uneasy about where she'll turn up next. Dale, I found this extremely interesting, not just because I write under more than one name. What really bounced out at me was your statement that Rowling and King's works under their pseudonyms is grittier than their other pieces. They had other reasons to use pen names, but my reason was so I could write grittier pieces without disappointing the kids I taught when I began. BTW, Fran Rizer is my real name, and doesn't go on any work that I wouldn't want my grandson to read. Dale, I wanted to add that a friend of mine who was reasonably successful in the mystery field began writing fantasy under a different name and became more successful and is now known and has made the N Y Times Bestseller List under the new name. Also, I see that in my first comment I said "works...is." My apologies. Since I'm licenses to lie as a fiction writer, I'll say it did it on purpose to see who reads carefully. Makes me think of Kilgore Trout. Elizabeth -- And Kilgore Trout was a fictionalized author who Vonnegut based on Theodore Sturgeon, so he was himself sort of a pseudonym. And, while we are on the subject, Theodore Sturgeon ghosted some late Ellery Queen novels, when Manfred Lee had writer's block, so in real life he occasionally wrote under the pseudonym of Ellery Queen. Talk about full circle! I have been wondering if the current "information age" will forever change the use of pen names and pseudonyms. Whereas once it was very difficult for the average reader, or even book reviewer, to find out who a pseudonymous writer really was in real life, now it's much easier. As you point out, it didn't take a leak for J.K. Rowlings to get outed -- it was about to happen because of computer analysis software. It used to be that a pen name was not discernable, by looking at a book cover or anything else, from an author's apparent real name. But these days you can almost always find out who a "pen name" really represents. Sometimes reviewers and agents apparently even set themselves the task of sleuthing out the real identity of a successful and apparent first-time author's identity, suspecting it is the pen name for someone they already know. And they are able to do it. I wonder how long it will be until pen names are a thing of the past, simply because they wind up about as opaque as tracing paper. Anonymous -- Rowlings noted in an interview that she almost kicked herself for choosing the name Galbraith for her new author. It hadn't occurred to her when she chose the name that many would think of the economist John Kenneth Galbraith, whose initials were "J.K.," and that sleuths out there would think that this was a hidden clue as to the true identity of the author! The bit about women using a male name reminds me of James Tiptree Jr. When he started publishing science fiction stories his biography said he was a former US intelligence analyst, a major during WWII, and had a PhD in psychology. All true but it didn't mention that his real name was Alice Sheldon. This led to some embaressing comments from science fiction writers about how her stuff could only have been written by a man. I remember when "The Long Walk" came out, I pronounced Bachman as being better than Stephen King...little did I know! We New Yorkers are a bit more cynical about the outing of Rowling. Either Time or the NYT (read both, can't remember which) reported only 500 copies sold in the US and 1500 world wide before the outing. And for the outing to have come from a lawyer (and his wife), that's hard to swallow. This accidental outing caused sales and profits to skyrocket. Yes, we're a bit more cynical. Mr. Andrews: Great stuff! This is a cool post. Read Andre Norton Sci-Fi stories as a kid. Later discovered 'he' was a 'she.' So what? You write fiction, the author can be whatever gender they want. Isaac Asimov wrote "Lucky Starr" space cadet books under a pseudonym. Yours truly, Toe. Several months ago, when doing some research on writing a synopsis, I ran across some advice written by a female romance writer. I quickly realized, however, that this romance writer was actually a pseudonymic (pseudonymial??) entity of a very famous best-selling male writer. Reading "her" work, it has become quite clear, and there is absolutely no doubt about it -- confirmed by the response I recieved after emailing my conclusion to the romance writer. I initially included information, in my comment, that explained why I thought this. However, I decided to redact that information, fearing it would make it too easy for others to penetrate the “curtain” behind which this man seems to enjoy working. “Her” romance books have done extremely well, and the actual author in question has been quite kind to me, so I didn’t want to aid anyone in “outing” him. Great piece. I got a matryoshka or nesting doll feeling when reading the Ellery Queen reference. Since one of the cousins had at least one book was published under his birth name, Daniel Nathan. As a sort of therapy for the impending dead of his son. It is the fictional memoir of his boyhood. The Golden Summer was published in 1953 and the publisher (Little, Brown) wanted to reveal the connection to Queen, recognizing that it would help sales. But 'Dannay' declined, preferring that the book stand on its own.Of course, Little, Brown was correct: the Ellery Queen association is as important for sales today as it was in 1953. It was only after his untimely death in 2011 his publisher revealed the true identity. Another popular Dutch thriller writer Tess Franke had an alibi for not appearing in public. She was a former lawyer cohersed into fleeing Amsterdam and living with husband and two children in Miami Beach. Delving from her own experiences in the world of courts and crime with several successful titles to her name. Then Gert Jan de Vries, a critic, revealed he was Tess Franke. His motives were clear: to make a clear division between his critical work and his non-fictional work. I enjoyed reading your take on this topic. In fact, I'll be posting my own tomorrow. And so the discussion will continue. This thread is taking on a life of its own! The comments by "Kurt" or from Kurt Sercu, my friend and sometime collaborator, who, in Belgium, presides over Ellery Queen, a Website on Deduction, which is the finest collection of Ellery Queen information out there. I'm looking forward to Jacqueline's column on her blog tomorrow!